What is My School Books? 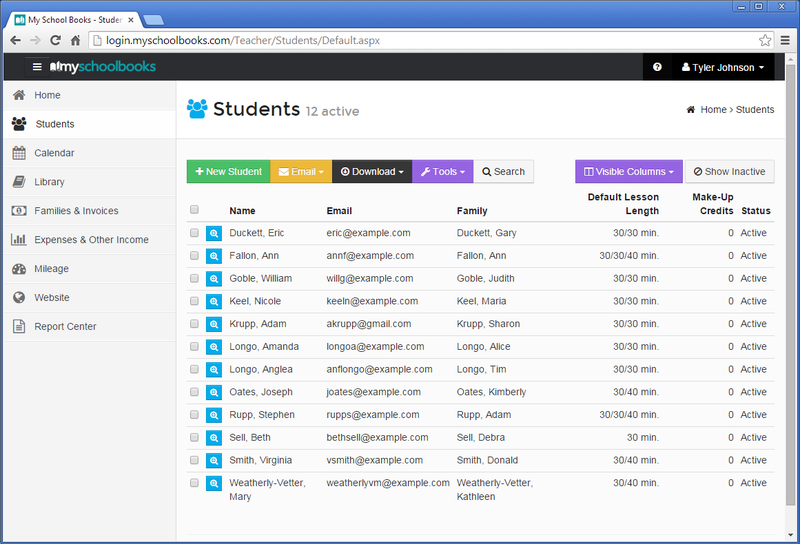 My School Books is a simple, easy-to-use business management software for tutors. 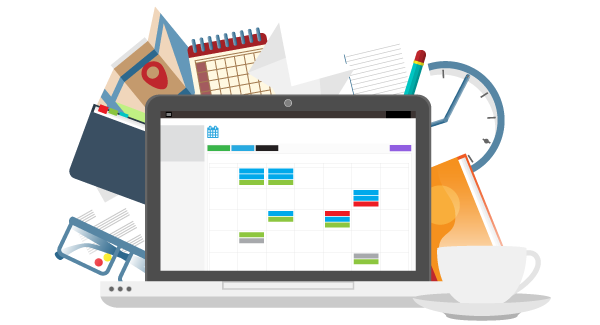 It’s designed for individual tutors and schools with multiple employees, who need affordable yet powerful software to manage the core aspects of their tutoring business. My School Books can do everything your private tutoring business needs. It allows you to centrally manage your website, student contact information, schedule, invoicing and more. Looking for more information? Check out the other features using the links on the left. Or start your FREE 30-day trial today and experience all of the features that My School Books has to offer. No credit card is required to start your trial and there is no obligation to subscribe. Add Students – Always do this first. My School Books revolves around your students, so we recommend starting here. 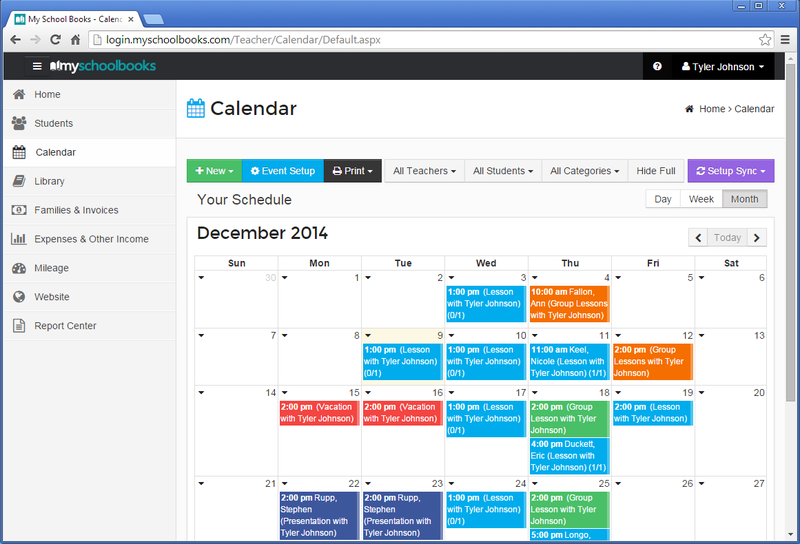 Schedule Lessons – Once you’ve created a few students, start scheduling their tutoring lessons on the calendar. The easiest way is to click on a date and select the “Add Lesson” from the pop-up. If the lesson occurs at the same time each week, use the “Repeat” feature when you schedule the lesson. 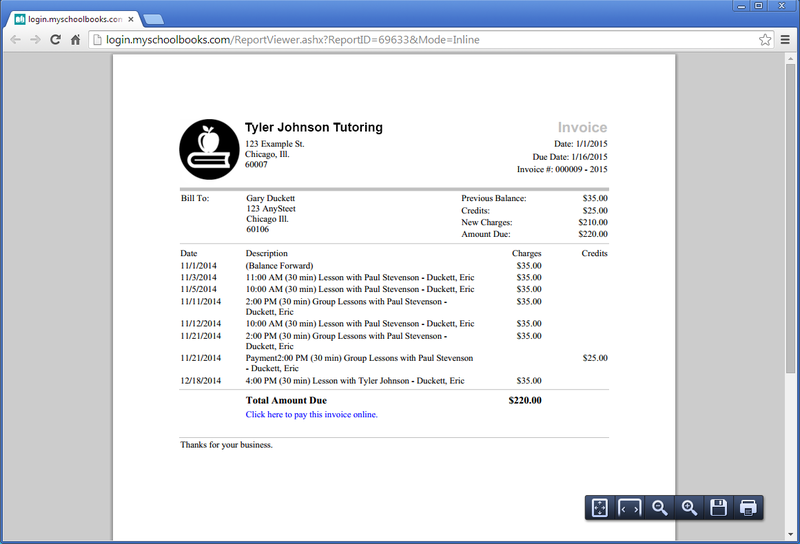 Create Invoices – My School Books will automatically use the scheduled lessons and student billing information to create invoices when you’re ready. All you need to do is pick the student(s) and the dates you want to bill for. Record Payments – When a student or parent pays you, track that payment in their family account. My School Books can send the family an email notification and the payment will be automatically included on their next invoice, so both you and the family are always on the same page. What makes My School Books different? My School Books was built from the ground up using a “mobile first” approach, so it works great on phones, tablets and desktop computers. My School Books also comes with easy to understand flat rate pricing. That means you’ll never outgrow My School Books and you can focus on running your tutoring business. Sign-Up For Your Free 30-Day Trial! Get started with My School Books today.